We at Equinox of Philly have recently been engaged with Design professionals to assist them and their client realizing their vision for outdoor living spaces. Our ability to create 3-D renderings of the projects allows the designers and their clients to see that we have listened and implement the details requested, before getting started. 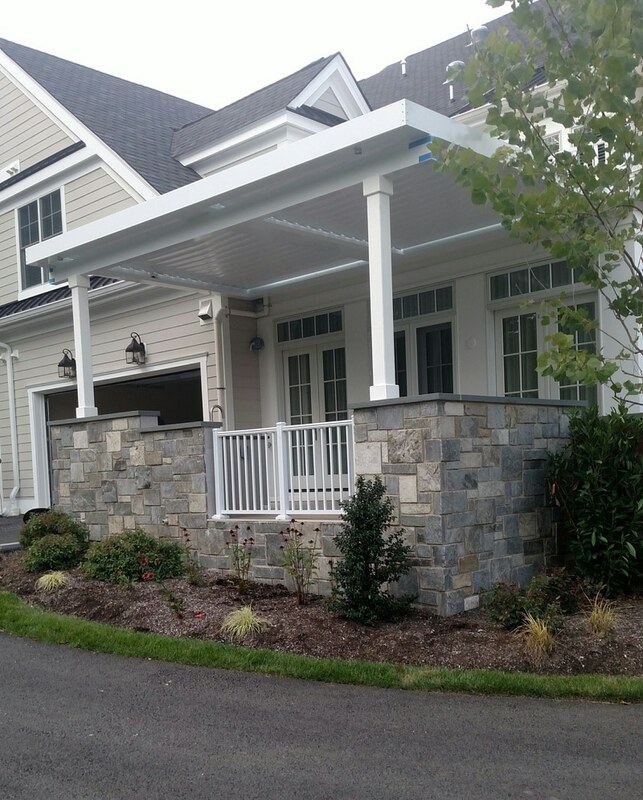 Scott guided his client through designing and implementing this elegant addition to a new home in New Hope. Allan Summers met us at the PA-Del Chapter of the American Landscape Architects’ meeting. They are have designed an elegant outdoor space for a stone home in Chestnut Hill, Phila. 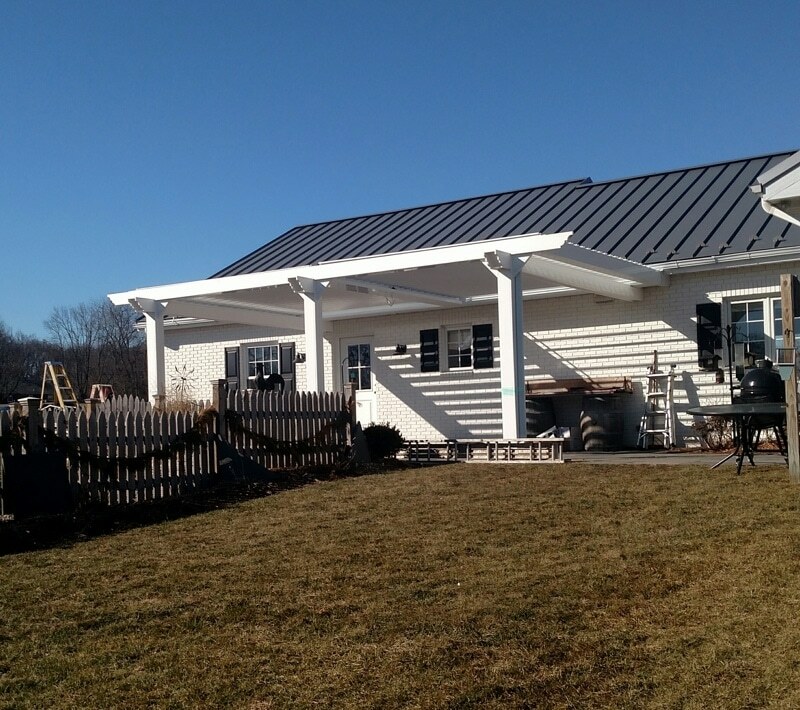 PA.
Anna saw my Downtown rooftop louvered roof, and chose us for this 4 bay project in Plymouth Meeting PA. It will cover an outdoor kitchen,. Two spaces will be enclosed with frameless, tempered glass walls and motorized screens. 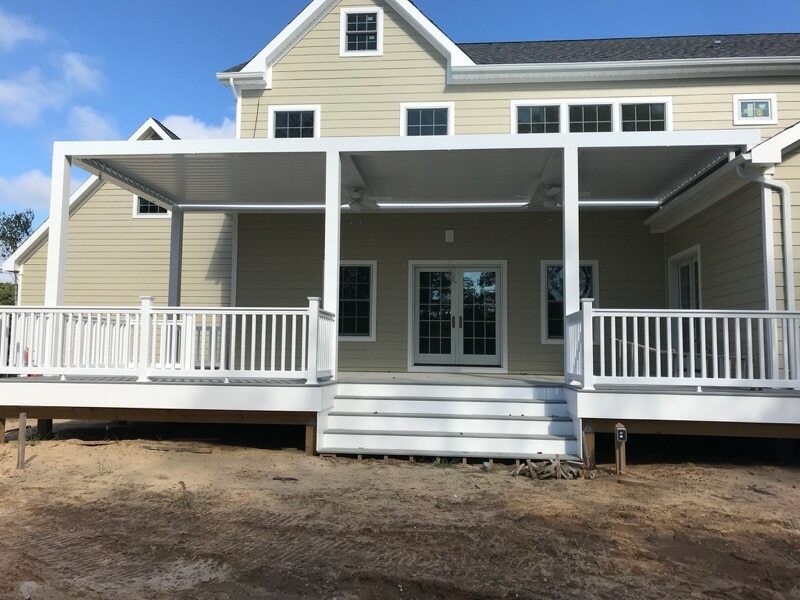 These professionals see that unlike conventional pergolas, Equinox Louvered Roofs can be adjusted to allow as much sunlight as desired, and they can be weather tight in the rain, all with the touch of a remote. The professionals found that our background in Architecture, helped implement the details they desired, whether simple, elegant and modern for Bux Mont Design or with a more traditional “pergola look” for RAS Landscaping, a modern look to fit a custom deck for Ratto Landscaping, or an outdoor space including enclosed space and outdoor kitchen for Digs Living.